Seattle has a reputation as being a very “white” city — largely among people who never go outside of their houses. That it is also home to the most ethnically diverse zip code in the entire country is obviously lost on people who stay in their living rooms glued to the idiot box. In truth the Seattle is and has always been diverse, but Seattleites seldom make a point of saying so. One of the places where the city does make a show of it is at the Seattle Center’s Festál series. From January through November, Festál presents festivals on weekends that shine a spotlight on the wonderful ethnic communities that comprise this beautiful city. Visual art, music, poetry, and food always feature prominently. By far most common, though, is dance. At Festál one can witness over the year so many different kinds of ethnic dance that it is its own sort of university seminar. The calendar of Festál events gets truly crowded from May through September, but the lunar new year brings the festival of Têt, the Vietnamese New Year celebration. In the tradition of Têt, the new year marks the return of Spring. It is a time for visiting family, both alive and dead, at the hearth, the grave or the altar. Celebrations begin on the eve of the lunar new year with a solemn remembrance of all the dead, including cleaning the family altar and placing the Five Fruits there. Overnight, traditional families keep watch over the fire all night. Growing up on Beacon Hill right after the end of the Vietnam War, I used to visit friends and playmates during the New Year. Things get busy. The first day is a day of luck and celebration. People give each other red envelopes and money. Everyone waits to be invited to someone else’s house because the first guest of the year is extremely lucky and sets the tone for the rest of the year. 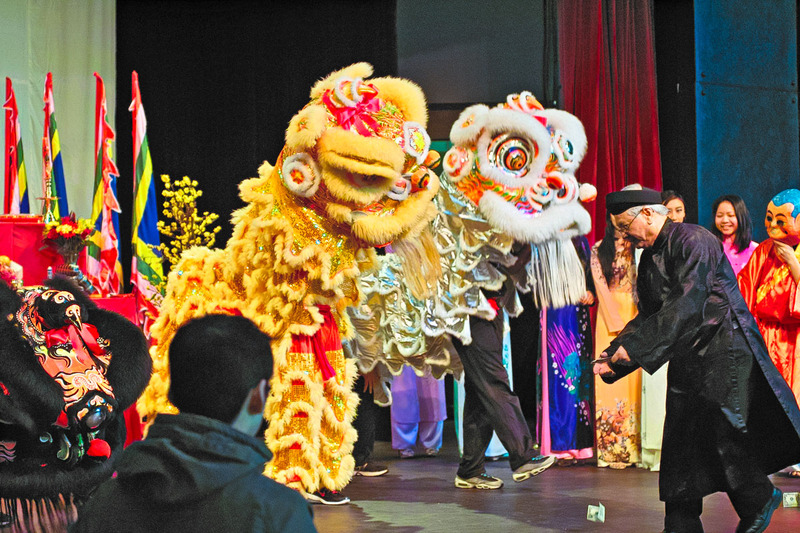 Tet in Seattle has been putting on the celebrations for the past nineteen years, seventeen of them at the Seattle Center. I go every year. I love the traditional costumes and the martial arts dances, the poetry and the songs. But mostly I love seeing all the beautiful faces that remind me how wonderful this city is, if one can be bothered to leave the house.